Andre was left to rue what might have been, after expressing how it was vital to build on the win at Man City and stay close to our title rivals before the game. Andre lined his side up in the usual 4-3-3 formation and made just one change from Monday’s win over Man City, with Lampard coming in for Ramires, who picked up a bruised leg. 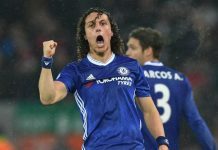 Luiz was not quite fit enough to return, but both Luiz and Ramires should be back for Thursday’s crunch encounter against London rivals Tottenham. Chelsea kicked off in their black away shirt, defending the goal behind which their fans were based in the first half. Wigan kept possession well in the first few minutes without creating any noteworthy openings, until a neat through ball was nearly spilled outside his area by Cech. Wigan continued to pile the pressure on and won the first corner of the game, which led to a quick footed Gomez unjustly demanding a penalty after being fouled by Bosingwa. The home side held back a bit after that and allowed Chelsea to come at them, a Sturridge pass to Mata was intercepted on the edge of the area before a poor shot/cross from Bosingwa was held well by Al Habsi. Chelsea’s flurry of attacking intent continued with a Cole cross being headed away and a John Terry shot on the edge of box being hit wide. Chelsea improved as the half went on, Sturridge went on some lively runs jinxing through the Wigan defence but at best only won a corner as many attempted balls into Drogba were thwarted by Caldwell and Figueroa. Some neat passing by Meireles and Mata looked to carve open some chances, but again the Wigan backline remained firm. A Romeu shot was saved well by Al Habsi, as the Chelsea faithful behind the opposite goal were surely thinking it was only a matter of time before they opened the scoring. Chelsea were dominating possession at this stage, although the majority of which was conducted in the middle of the park. An at this stage rare Wigan attack, after being hemmed in for long spells beforehand, nearly led to something, as a Cech dodgy pass almost proved costly and Diame latter headed wide from a corner. Wigan felt they could have had another penalty when Moses went down under an Ivanovic challenge, before the most controversial moment of the game when it looked as if Ivanovic could have handled in the box, referee Martin Atkinson again said no to the frustration of the Wigan fans at a typically partially empty DW stadium. Wigan were so annoyed and incensed at the decision they later ironically cheered any decision Atkinson gave in their favour. Chelsea’s best chance of the first half came in the 38th minute, when a Meireles cross was headed wide by Drogba, after he lost his marker on one of the only occasions in the half. At the other end the half closed out with Moses almost connected to a Jones cross. Andre signalled his attacking intentions by bringing on Kalou for Romeu at half time; however Wigan had the first chance of the second period, with Gomez hitting the side netting from an acute angle. Kalou started to make some weaving runs, looking to exploit a team he had scored against in 4 of his last 9 appearances, but could only win a corner which came to nothing. Torres, who must have been slightly mystified with the decision to being Kalou on instead of him, was hastily warming up hoping to soon become part of the action, although he in the end never did. Chelsea’s attacks were continually mainly coming from the right-hand side. Bosingwa was putting a plentiful array of balls in, but Caldwell and the rest of the Wigan defence stood firm. The home side still had attacks of their own, and Moses could have done better after hitting a shot out for a thrown in after his skill evaded Cole and Terry, albeit from a fairly tight angle. At the other end, Drogba hit it wide at the near post from a Kalou cross, using his right foot when it may have been more advantageous to use his left. The breakthrough finally came on the 59th minute when 10 men Chelsea, Lampard was off dealing with a chipped tooth, took the lead when a fantastic ball from Cole found Sturridge in space and he slotted the ball home underneath Al Habsi to score his 9th goal of the season. Wigan looked to assert themselves on the game after going behind, a Jones shot was hit over and wayward, and a Diame attempt was saved well by Cech. Andre then reacted apprehensively by bringing Mikel on for Mata on the 66th minute, a change counteracted by Martinez when he brought on attackers Rodallega and former blue Di Santo for Jones and Sammon not long after. It was then end to end stuff for a while as a mediocre game became more exciting. McCarthy hit it just wide from a Wigan corner, Kalou had a decent cross intercepted but Wigan were indeed having the better of the chances at this point. Di Santo looked the most dangerous, with John Terry going down awkwardly after challenging him in the air. Fortunately he regained his composure and continued. A mess at the back left Wigan rueing what might have been after Cech tackled Moses, the ball fell to Rodallega and then Di Santo, who hit it wide in a goalmouth scramble that left both Cech and Cole down. Wigan had certainly stepped it up and Villas Boas made his final change on the 80th minute with Malouda replacing Sturridge, keeping our record of being the only Premier League side to make three changes in every game intact. 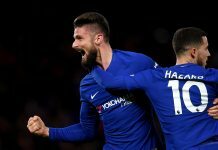 The hammer blow for Chelsea came on the 87th minute as Cech made a pig’s ear of a dangerous ball and palmed the ball into the feet of Jordi Gomez who tapped it in and slotted home. 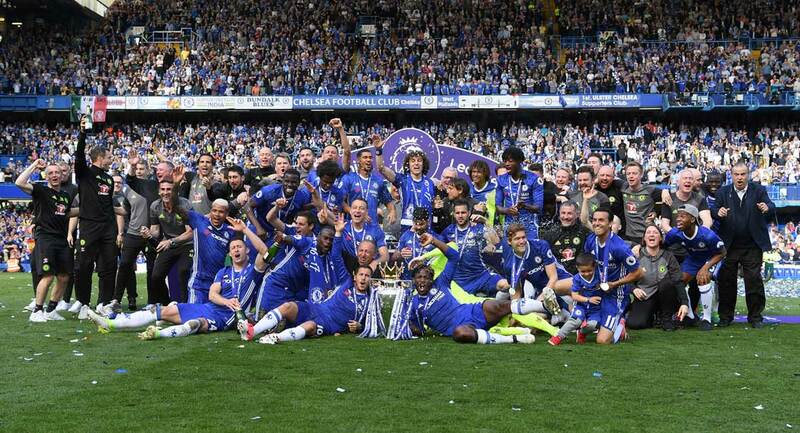 A nightmare moment which inevitably cost the Blues two precious points! Wigan could even have won it, but Di Santo headed wide and was moments later suspected brought down by Bosingwa just outside the box to which nothing was given. Chelsea’s last attack finished with a weak Kalou shot held, and the game finished with a disappointing draw for the Blues. Many will blame Andre’s tactics and substitions, but the performance of many players were not up to standard and statistics such as Wigan having both more shots and shots on target than us prove that. Fingers crossed for a better performance on Thursday.